We recently picked up the Thermaltake Versa H23 for the $450 budget build we’re showcasing here and on our YouTube channel. The price was right on the case at just $25 after a rebate card. Standard MSRP for this case is around $50. At that price, there are a lot of competitors to choose between. However, since we could get the case around $30 it appears to be the perfect case for our very limited budget. 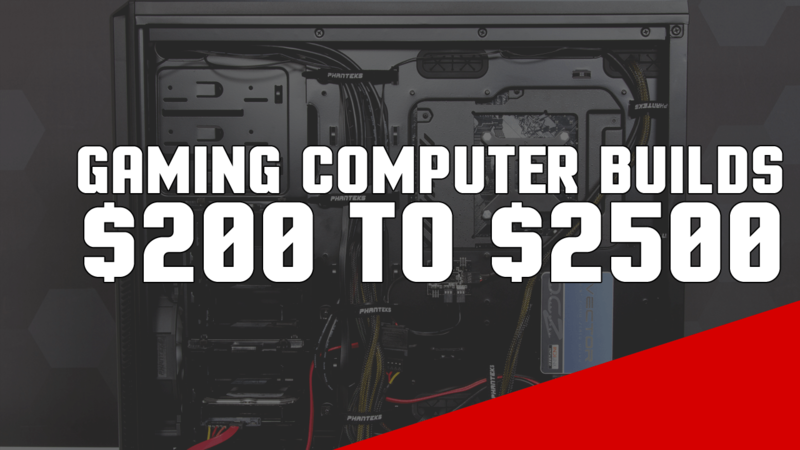 The Thermaltake Versa H23 is built well enough for what we’re looking for. It’s fairly sturdy and lightweight and has plenty of ventilation through the perforated metal mesh front and top panel. It’s not built like a tank, but doesn’t weigh as much as one either. The case also has a plastic side window. If you’re like me and want to see your components this is a must. Dust filters are included for optional front intake fans as well as for the bottom mounted power supply. As you can see in the picture above the Front IO includes a USB 3.0, USB 2.0, and an HD audio port. Installation of your drives (7 expansion slots) is fairly simple with the tool-free design. This is a standard feature on most cases in the $50 range but as we got it cheap, we’re excited to get it here. The drive bays aren’t meant to be removed; however, a GPU with a length of up to 315mm or 12.4 inches can be used without a problem. This was just fine for the RX 470 we had planned. The MSI H110M Pro-VD Plus motherboard we plan on using is screwed into pre-fitted dimples inside the case. 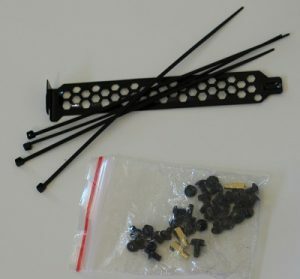 There are a few areas in the case that have holes that standoffs can be used if your motherboard needs it. 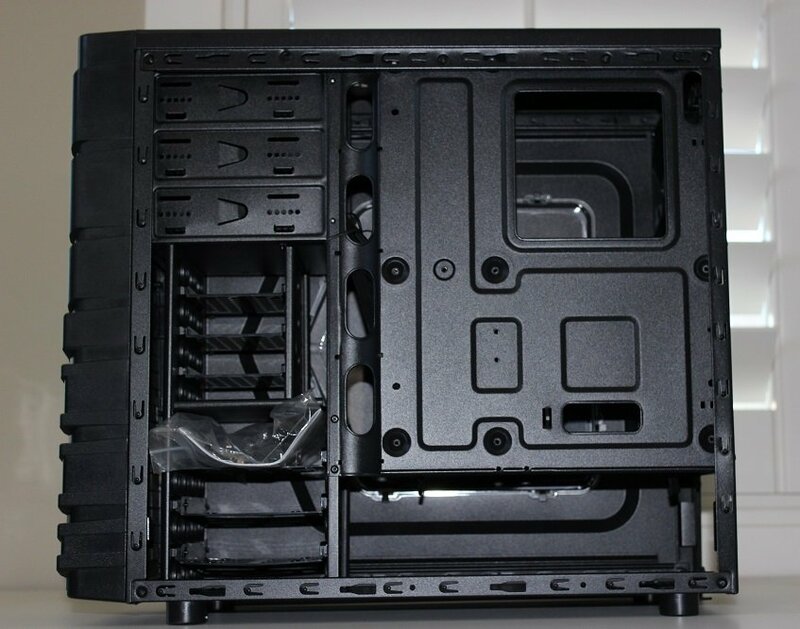 That was the case with the Micro ATX board we used in it which ended up using two of the dimples and two standoffs. However, for a standard ATX motherboard, it’s likely you’ll be using the dimples instead. I’d certainly prefer to use all standoffs here, but it’s not a deal breaker. For power supplies, this case has the bottom-mounted design that I prefer. In terms of cable management, there’s little to work with here. 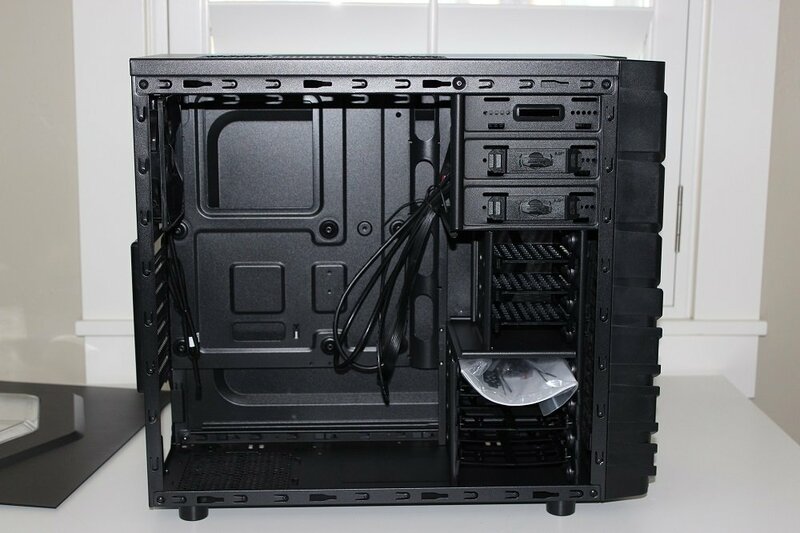 Thermaltake includes 4 zip ties which can be used to adequately place many of your cables in the back. The perforated holes in the front as well as mesh throughout the case give it a lot of natural airflow. Included with the case is a preinstalled 120mm fan. 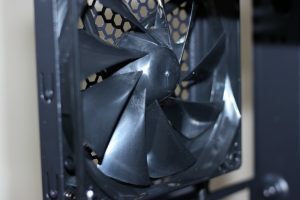 Two additional front 120mm fans could be added if additional cooling is necessary. For CPU cooler support, this case is limited to 155mm. I’ve seen people throw a Hyper 212 EVO in it, but it’s definitely pushing the limit. Still, it should fit many CPU coolers on the market, so be sure to know the dimensions beforehand. 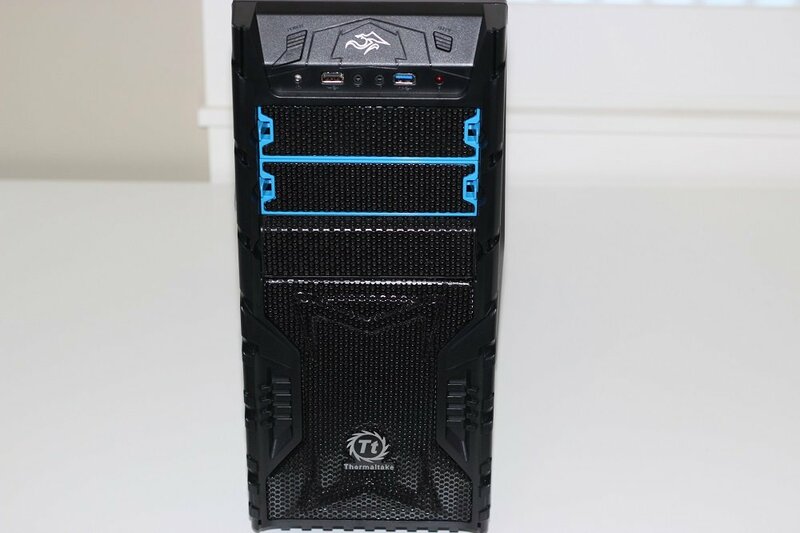 In summary, the Thermaltake Versa H23 is good at the $25 to $35 or maybe even $40 price point. At a $50 price point, it’s competitive but probably not my favorite. Where this case really shines is when you can get it on rebate in the $25 to $35 price range. In that space, it beats out many of the top computer cases on the market. We’ve used many of them. For the price we purchased it at, the Thermaltake Versa H23 had a few features I wasn’t expecting. Tool-less installation is the big one here. Again I’ll point out that it’s not a perfectly sturdy case, but it does a good enough job. 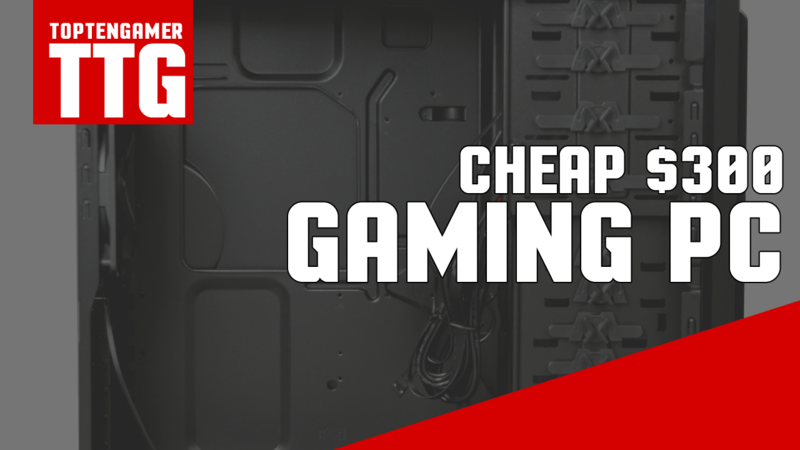 For those of you who would rather spend your extra money on performance rather than a case, this one gets our recommendation for budget builds. For more customized high-end builds, it’s likely lacking some of the features you’re looking for. 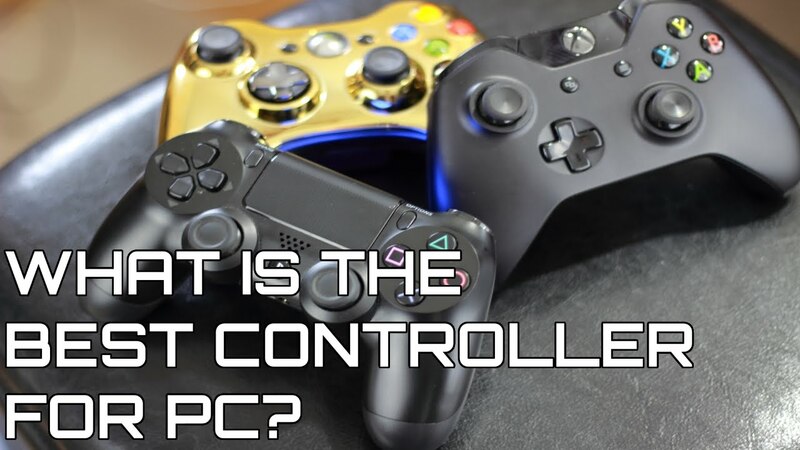 What is Mouse DPI or CPI and Is it Important for Gaming?